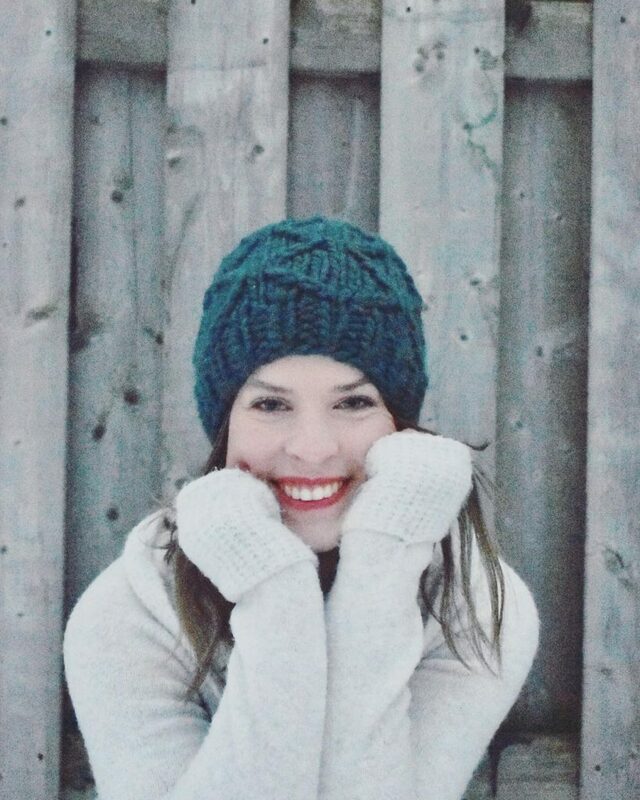 Started to learn the beautiful art of knitting from her Great- Grandmother and Grandmother and later moving on to Crochet, Katrina Wilson now has her own business called Nina Bella Co.
Oh and when it comes to her husband – here is what she has to tell us, “My husband is hilarious, he always rolls his eyes when I say I have to go to the yarn store or when another shipment of yarn shows up at the door, but in the same breath he’s raving about my business to his family on the phone or talking to his coworkers about it.” Being the best husband that he is, he helps her when it comes to telling what is good and what isn’t, “He’s also my most honest critic and helps me with my designs and he came up with my “Neapolitan Ice Cream” yarn colourway.” The most awesome part is played by her kids, when it comes to supporting her, because they are always ready for the Yarn Store trip. Isn’t that amazing?? They also give her company in dancing when she celebrates her orders and commissions. So like we all have something unique in us that does the trick and our buisness gets a boost due to that one thing that makes us stand out. When we asked Katrina about it she had an amaing answer. She tells us, “I think my uniqueness is that I’m relatable. My pictures aren’t photoshopped, my kids are yelling in the background in most videos and I’m not afraid to be honest! She also tells us how each and everyone has a different style and certain uniqueness attached to their personalitites and therir businesses to be precise, “I think every single person in this business is unique and has their own story to tell! I like to think of myself as creative, honest, authentic and hard working. I’m young with 2 kids trying to keep my mind active and challenged by designing. I’m hoping to inspire anyone to pick up a needle or hook and have an outlet they can go to for some “me time”. Even after all this time? Always. She tells u how a simple Quote from Harry Potter inspires her the most. “Even after all this time? Always.” It’s a quote She applies to everything in her life, her business, her crochet and her Kitting. She tells us how exactly it drives her to do more, “I want to look back on all my designs and pictures and hard work and think “Do I still LOVE everything I’ve made and designed, even after all this time?” And if I can’t answer “Always” then I know I’m doing it for the wrong reasons”. Wrong reasons being either impulsively, too quickly or not whole heartily. Also “Winter is Coming” is pretty much every fiber artists go to for motivation to keep knitting and crocheting faster! A Hockey player since the age of 9, Katrine loves reading books and she is a Harry Potter fan. So much so that it was difficult for her to choose between the craft and reading. Finally she stumbled upon the idea of Audio books and does multi-tasking since, which in her words was LIFE CHANGING! Other hobbies being watching TV (she loves GOT), also loves board games & card games and loves playing Settlers of Catan or most recently: Magic the Gathering. Connect with Nina Bella Co.